If you are having a party at your place, visiting a friend’s housewarming party any other celebration, wines will serve you well. But the question remains: How to pack it up? After all, a celebratory event calls for something special. 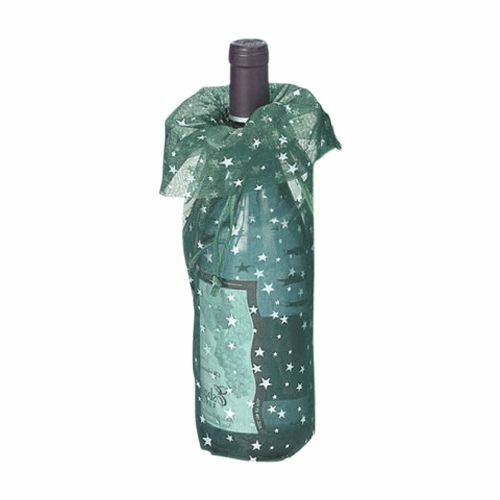 Use our star print wine bags to complement your bottle of wine and make a statement. The bags are made from organza and are stitched carefully so that it will not tear away easily. Wine bags are a great accessory to use with a bottle of wine you have selected as a gift for someone special. 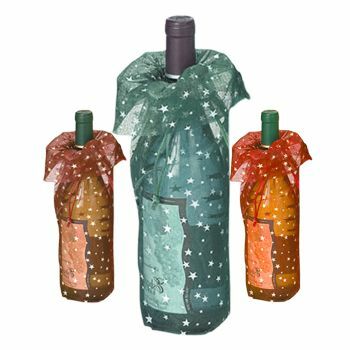 Our star print wine bags are ideal for a presents for a party, gathering, housewarming, host gift or a birthday present. They also go well with seasonal holiday celebrations. With our organza wine bags with star print, you will not have to show up with a bottle of wine wrapped in a paper sheet. These fancy wine bags are the way to go.